But my dance studio is in front of Selfridges and I popped in a few days ago. 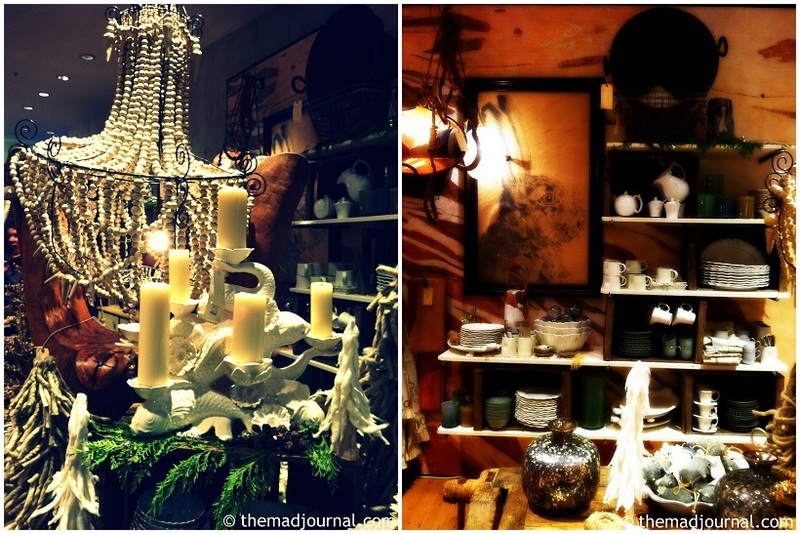 I loved the pop up shop of Anthropologie in the basement. 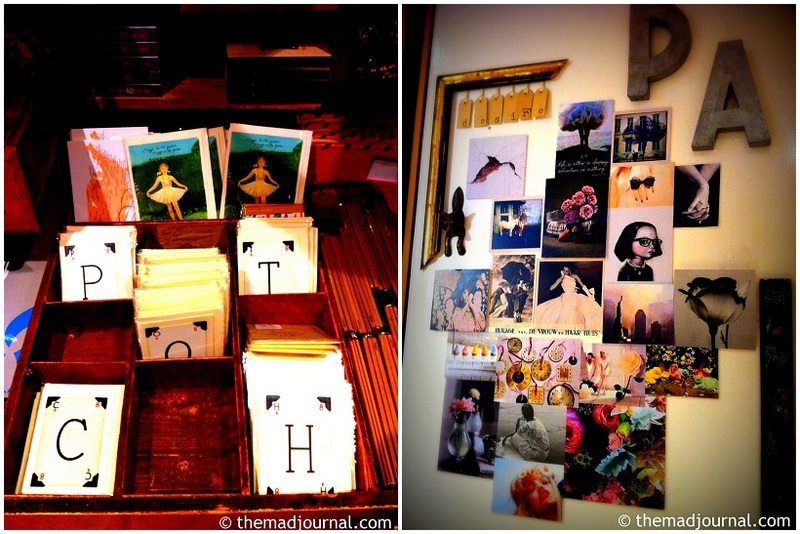 I knew only the name of Anthropologie and I thought it is a clothes shop. So I went to their big Regent's Street shop. there's not so many in UK. and I don't feel like buying something when I see so many same clothes in shops. It'd been ages to shop in high street. 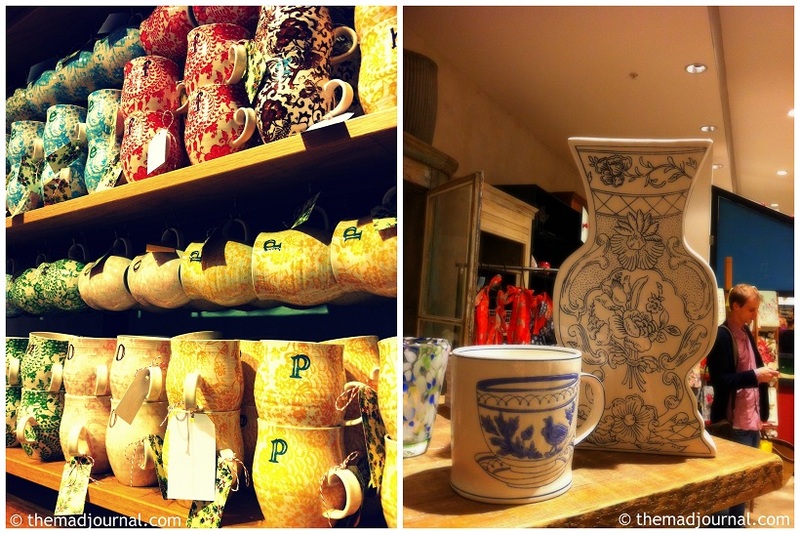 Anthropologie was interesting to shop because they have lots of nice items for home. Christmas stuff was everywhere in the shop. It was special because it's before Christmas? The half of the shop is items for home and books. They have a good sense for presents too. Items are colourful and a bit vintage like..... It's really my taste. 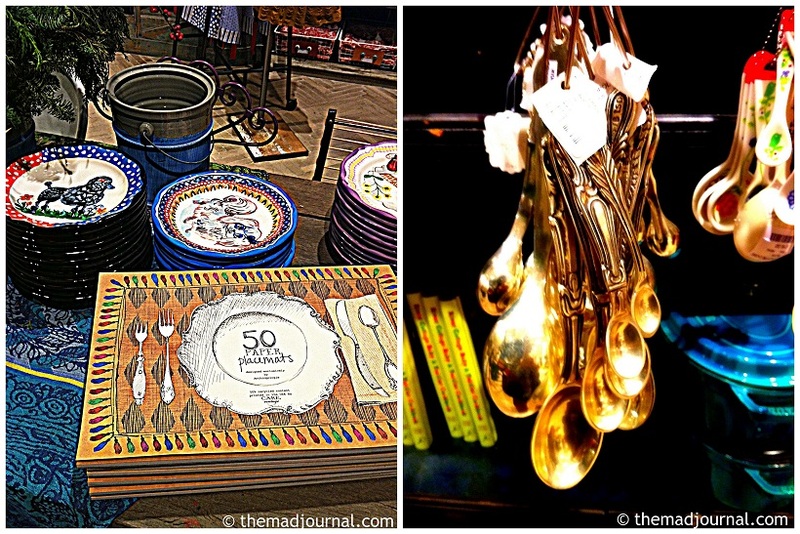 I wanted this paper mat and vintage like measuring spoons. So I didn't buy them! Phew!!! I found more nice stuff but I won't buy them until the sales after Boxing day. However, I was looking for my regular big mug cup and those cups caught my eyes. I love the alphabet cup because I like the shape. But only the cups of our initials M & S were sold out at Selfridges. I couldn't find S in the Regent's Street shop too. I guess the initial of the most popular name in UK is S.
Then I bought this cup!! I love the hand-drawing of the tea cup. In fact, I want to have tea with a vintage tea cup and saucer, but a tea cup is too small for me! The bottom is also cute! I also bought another cup in different design but the same series for my partner. 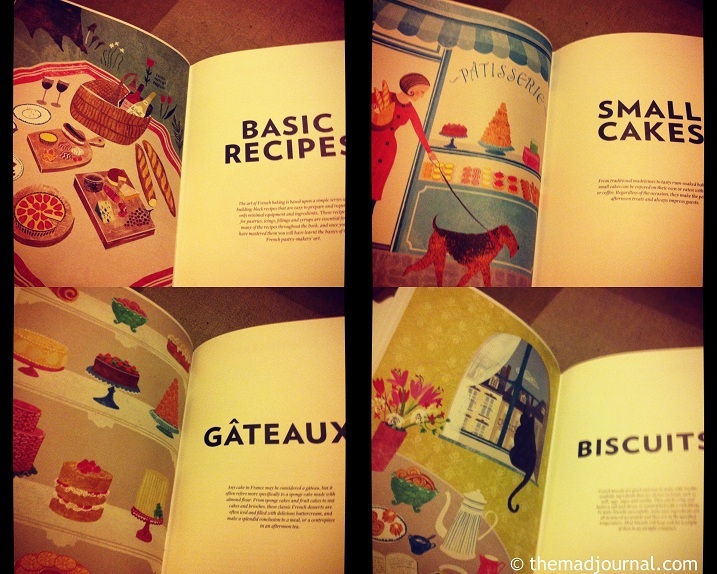 It's a French baking book! We can't go out for a week around Christmas because of my partner's work. We are going to be stuck at home. So we were thinking to bake something in Christmas. Usually I check recipes on the internet. I don't buy cooking books. and those photos showing beautiful vintage tableware!! We are moving soon and need some tableware too. 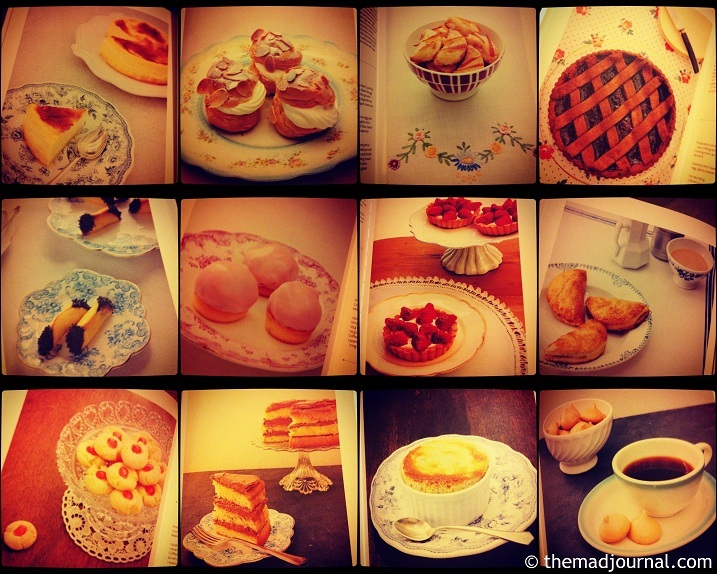 So I'll check these photos and think about what sorts of tableware I should buy. By the way, these my photos today were taken with iPhone. I played with those photos with the new version of Picasa. It's fun!! I love the function like toy camera.